Learning Reiki is for EVERYONE! Regardless of your experience with intuition or energy, you CAN easily learn this powerful energy healing technique that will put healing into your own hands and change your life. Practical Reiki offers clear, down to earth explanations and analogies that most Reiki classes don’t cover. Learn what energy healing is, how to feel it, and how it works. Learn many ways that you can affect your health and circumstances, and help others. Learn what attunements are and how to give them. Learn Practical Reiki! You have options! In person! Schedule a Practical Reiki Workshop where YOU are! Online! Live or on demand any time! Practical Reiki is a resource about energy healing and also the manual for the Practical Reiki method. Order an Autographed copy of Practical Reiki for balance, well-being and vibrant health for $15.99 here. Or you can order a (not autographed) copy on Amazon.com or here. 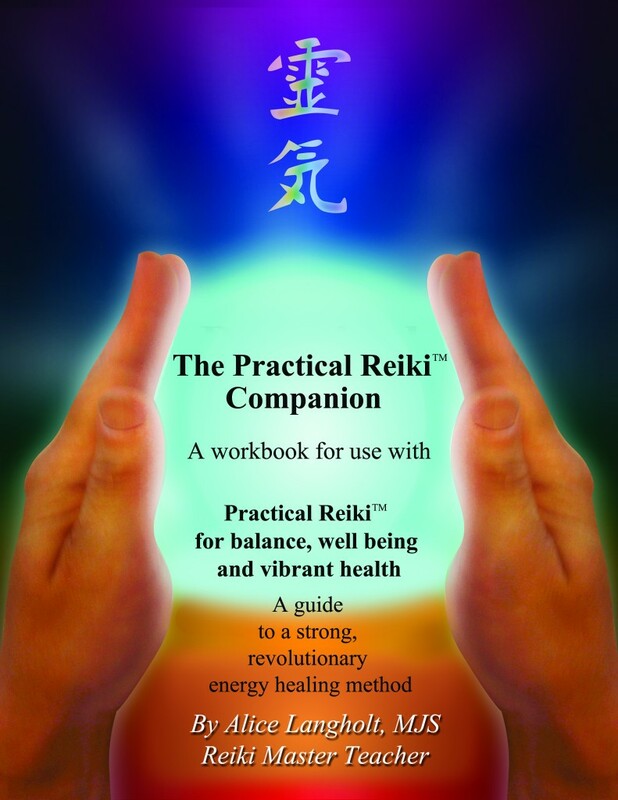 Now available, the Practical Reiki Companion – a workbook for those learning Practical Reiki. Use this workbook to chart your practices, thoughts, experiences and growth as you progress through the program. 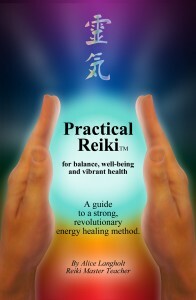 The Practical Reiki Companion workbook is designed to be utilized while learning Practical ReikiTM. Use it to keep track of your experiences, practices, and progress. The workbook will encourage you to be mindfully aware of your intuitive sensations and growth, journal your feelings, and enhance your energy by engaging your reflective thought processes throughout your practice sessions. This full color interior is filled with reflective prompts designed to help you tune into your emerging and developing intuitive channels while encouraging presence and awareness throughout each Reiki session. Inspirational pictures grace the pages, making this workbook a beautiful journal you’ll want to keep and review for years to come. Non-autographed copies are available directly from Amazon.com or here. These books together are the perfect combination for anyone learning or teaching Practical Reiki. Special Package Deal!! Order autographed copies of both books together for just $25 plus shipping. Note: The Practical Reiki book is the manual for the Practical Reiki method. You will need instruction and attunements in order to practice Practical Reiki. To learn and receive personal attunements to Practical Reiki, click here. Access to 4 2-hour live class recordings taught by Alice Langholt, founder of the system, just like being in a live class! Watch on demand on YOUR schedule. Attunements to all 3 levels of Practical Reiki (through Master level) arranged personally via email with Alice. Complete personal email support and guidance – I’m here to answer questions and am always happy to hear about your experiences. A certificate with your name and the date of your Master Level Attunement in pdf format at completion of the course. Learn more and Register for Practical Reiki training here!